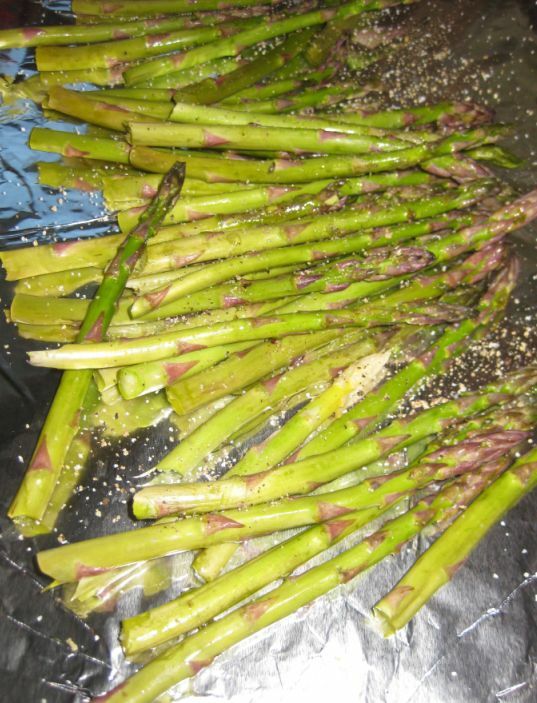 Roasted asparagus is an easy side dish that compliments any meal! 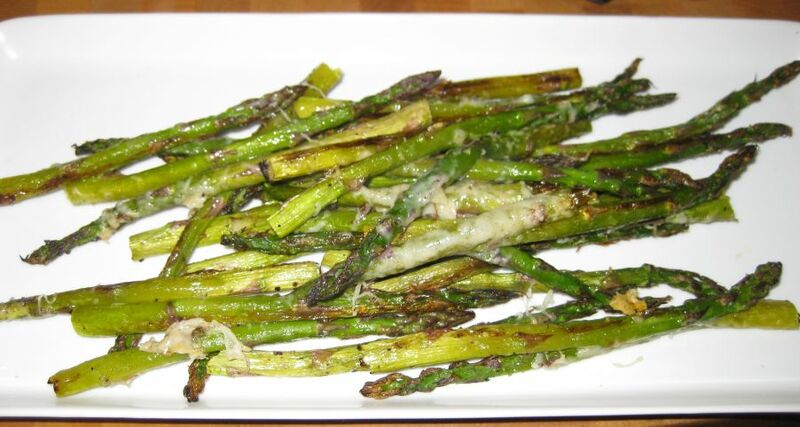 The roasted asparagus is flavorful and has a crisp-tender texture. It is easy and fast to prepare and the color and taste complement well with any meat main dishes. 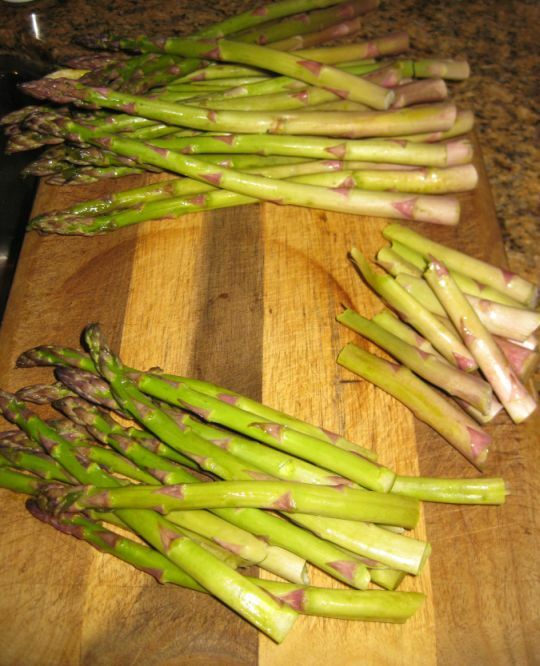 Tonight I am cooking a very light meal so I am serving the roasted asparagus with scrambled eggs. 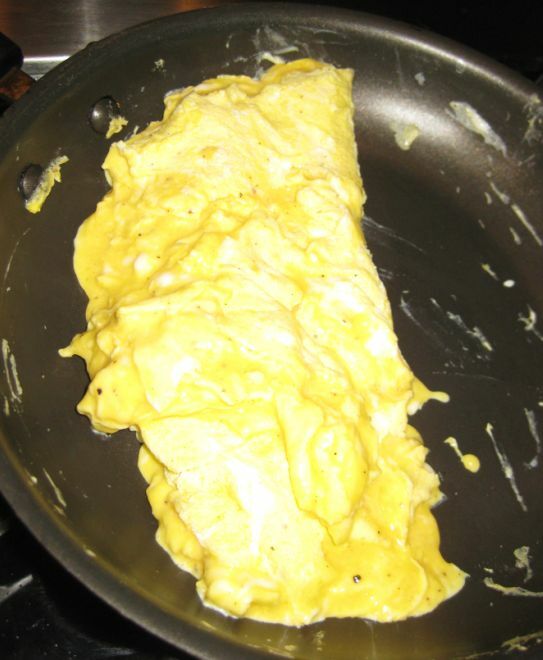 Scrambled eggs are a classic but can be surprising difficult to master. The key is in the texture. To make them creamy you will need to cook them slowly over low heat. 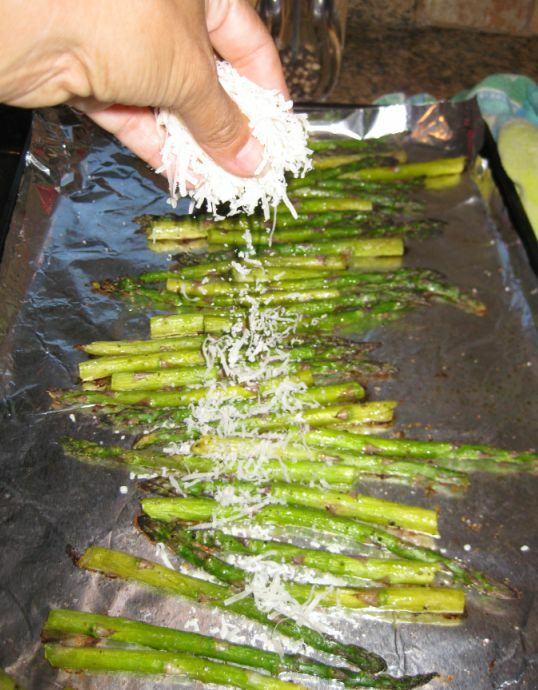 Melted parmesan is a nice addition to the roasted asparagus. 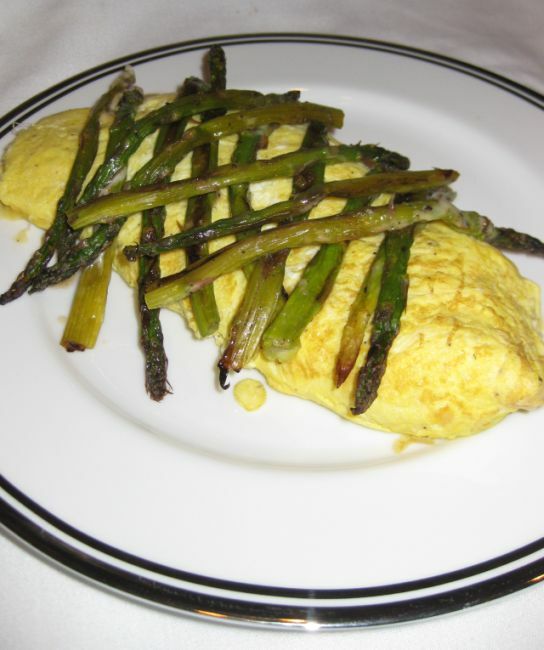 Serving the roasted asparagus with scrambled eggs. 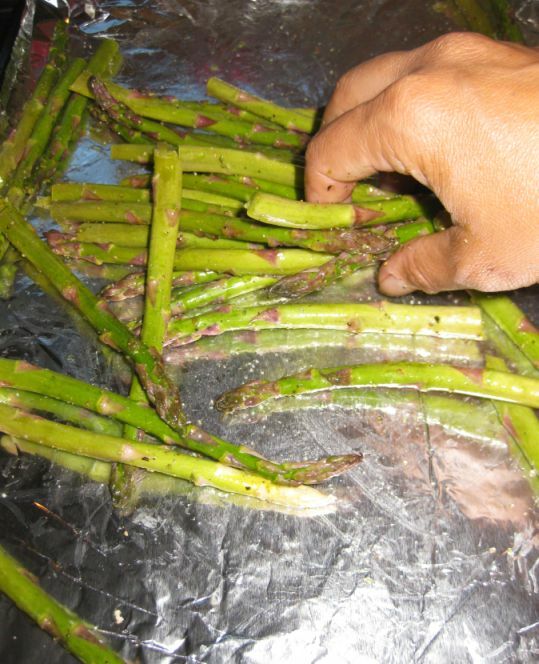 Clean the asparagus. Trim the woody ends from the asparagus, usually about 1 1/2 inches. Drizzle the olive oil and rub it on with your hands to coat thoroughly. 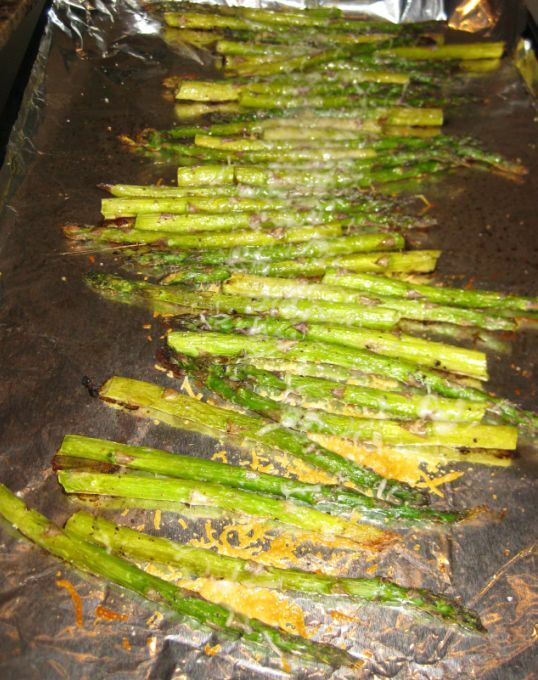 Preheat the oven at 450 degrees and bake the asparagus for about 8 minutes. 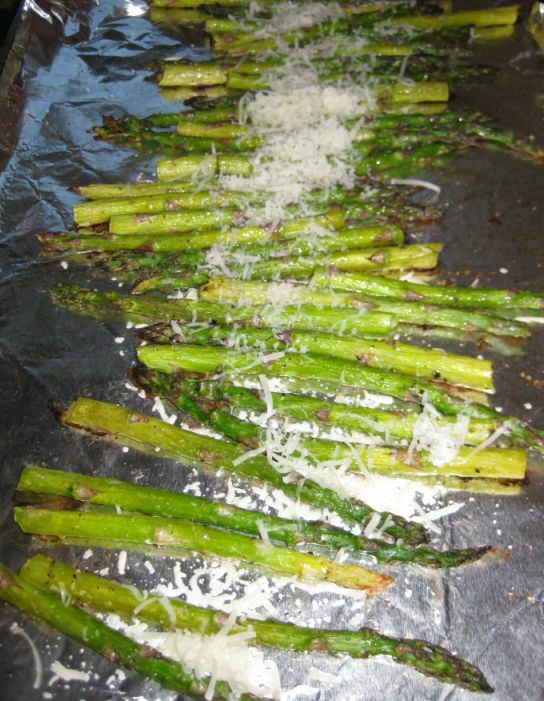 Remove the asparagus from the oven and sprinkle a handful of shaved parmesan. ..the parmesan has formed a crust. Remove the tray from the oven and let it rest a bit. Crack 5 to 6 eggs in a bowl. Add a dash of pepper, salt, and cream. Beat the eggs with a fork until well combined. Heat a skillet over low heat . 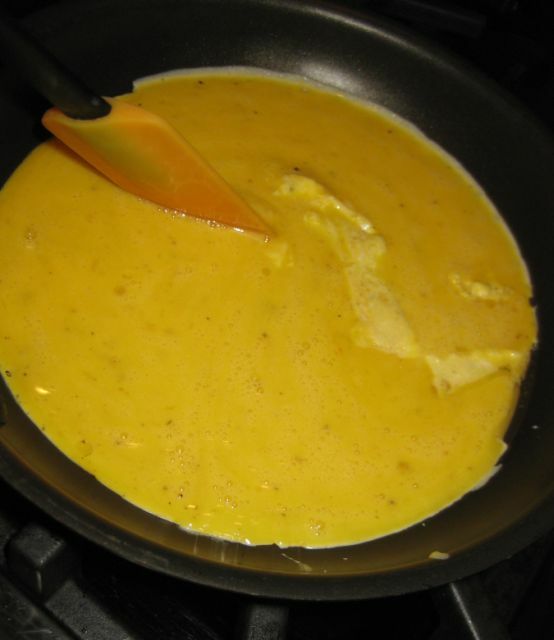 Melt some butter or oil and pour the beaten eggs into the skillet. 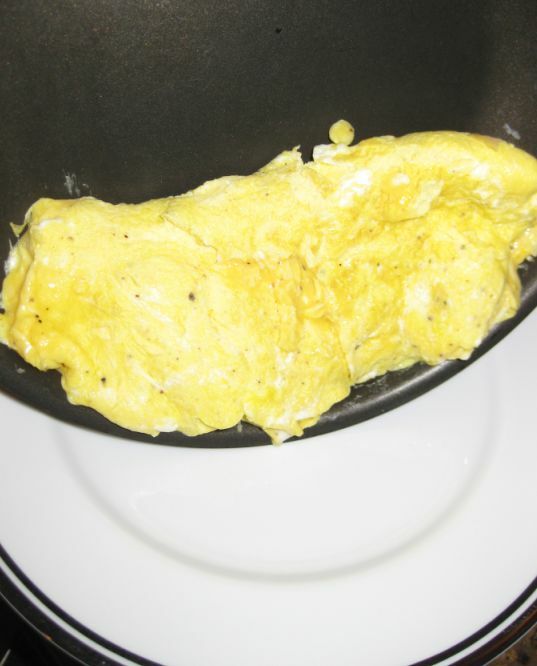 Let the eggs cook until they begin to set around the skillet. 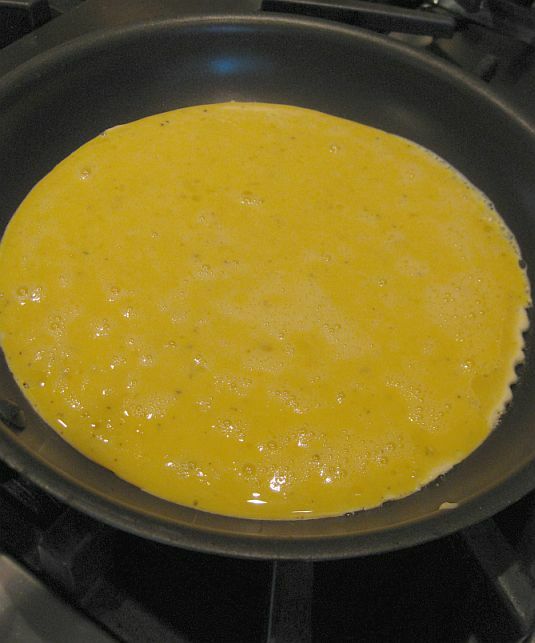 Stir and fold the eggs in the center of the skillet. 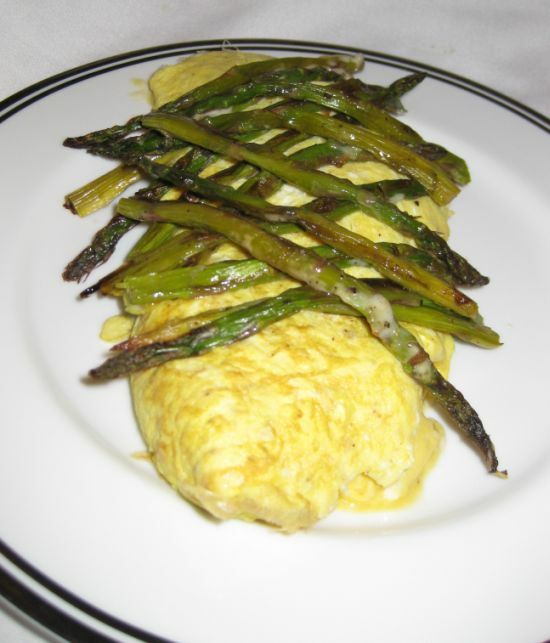 Continue cooking until the eggs are the consistency you desire. I like my eggs to be on the runny side. Make sure not to cook the eggs at high temperature because they will become rubbery. Pouring the eggs on a dish.